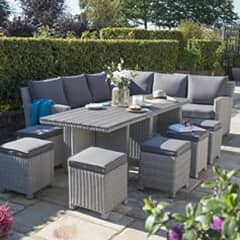 Garden Furniture World stocks a large selection of Alexander Rose garden furniture, including furniture sets, tables and chairs, parasols, furniture covers, and more. 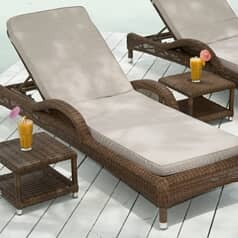 Best known for their production of wooden patio furniture, Alexander Rose also manufacture and supply teak, metal, and weave furniture. 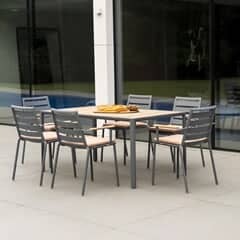 Buy full sets like the popular Monte Carlo set, or individual tables and chairs. 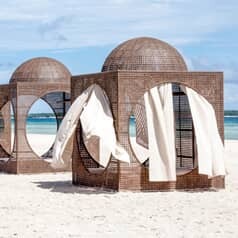 Further customise the look of your patio set with parasols and gazebos. Protect your furniture with high quality covers. 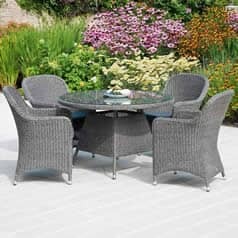 Combine patio dining sets with loungers and benches to provide seating throughout the garden. 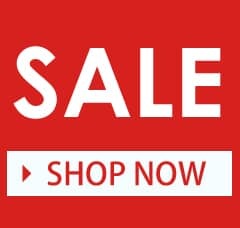 Not only do we provide some of the lowest prices, thanks to our competitively priced Alexander Rose furniture sale, but we also provide free delivery on orders over �100, and can deliver to your home address anywhere in the UK. 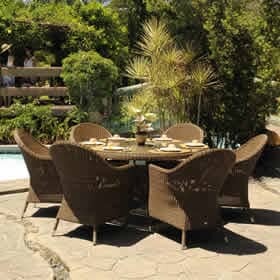 Buying a full furniture set is convenient and it means that you can be sure of buying a table, chairs, and even parasols that match. 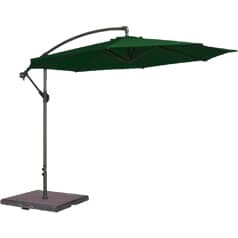 Sets are designed so that chairs easily fit under the table, while sets that include parasols also include the base and make it easy for the parasol to fit in the table. Popular sets include the Monte Carlo, Roble, and Avant furniture. 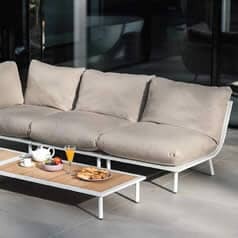 Choose furniture sets according to the material that they are made of, the size of the table, and even the number of chairs that are included. 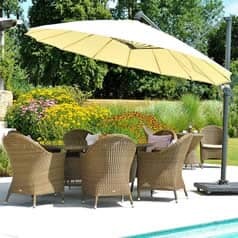 Decide whether you want a parasol and any additional accessories and pieces, and then choose the furniture set that meets your requirements. 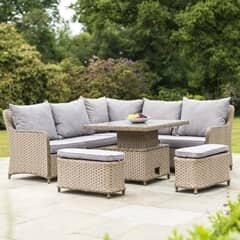 Alexander Rose Monte Carlo Garden Furniture - The Monte Carlo garden furniture set is a collection of wicker tables and chairs. Choose from the standard brown or black collection, or the even more expansive Monte Carlo grey catalogue. 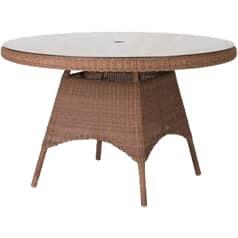 Rectangular tables can be coupled with standard seats and bench seats, while round tables, tea tables, and original mosaic table designs are also all available as part of the set. Mix and match the furniture items you want from the collection, or opt for a full set and add any occasional or additional features that you require. 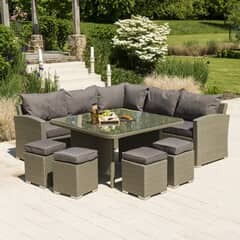 Portofino - The Portofino range is a mesh garden furniture range that looks good, is easy to maintain, and has a wide selection of sets and options available for you. 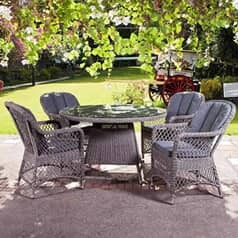 Simple sets consist of a small round table and two chairs; ideal for couples or individuals that like to sit out in the garden. Larger sets can incorporate large rectangular tables, as well as six or eight chairs or more. 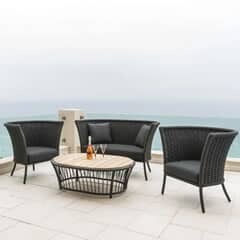 Benches, sofas, and lounge chairs can also be included in these sets in order to create the perfect outdoor seating, dining, or relaxation area. Roble - The Roble collection is crafted from beautiful hardwood grown in the Bolivian tropical forest. This slow growing hardwood starts out with a light colour, but it darkens naturally as it is left out in the sun. It is also dense and extremely durable, and the wood is highly sustainable thanks to Bolivian sustainability efforts. 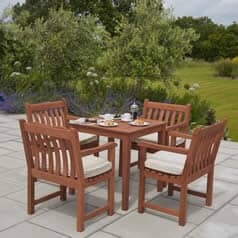 Roble furniture sets range from those with a small circular table and two chairs, to huge extending 8 seater sets, while the Roble hardwood lends itself perfectly to use in creating stunning and beautiful Alexander Rose garden benches. Alexander Rose Cornis - Cornis timber is very straight and virtually knot free. 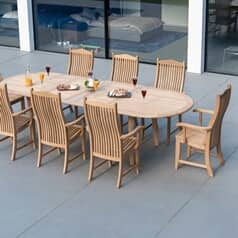 It is also more affordable than a lot of hardwoods used in the manufacture of high quality garden furniture, but it retains the same sustainable benefits of the timber that is used in the Roble and other collections. 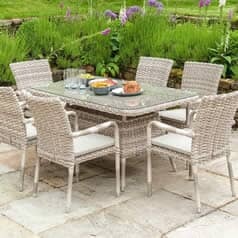 Whether you are looking for an Alexander Rose garden table, beautiful bench, or full patio dining set, the Cornis collection offers affordability and natural, great looks. 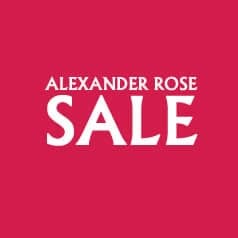 The Garden Furniture World Alexander Rose bench sale includes wooden and weave garden benches, as well as bench seating that is designed for use with the highly sought after furniture sets. 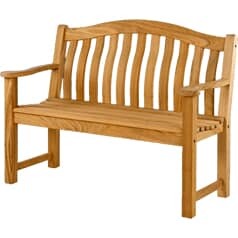 Hardwood benches have a traditional look that fits perfectly in any garden while weave benches can be moved easily. 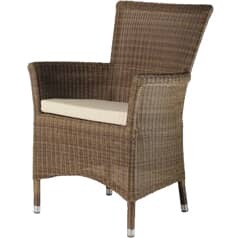 They also combine well with weave and rattan furniture sets. 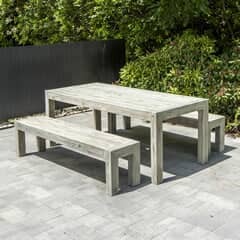 Benches are a great addition to any area of the garden, and not just as part of a dining set. 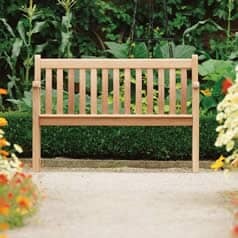 Place a hardwood bench under the shade of a large tree or at the edge of the garden for a comfortable seating area. Alexander Rose furniture covers offer a convenient and simple way of prolonging the life of your furniture. 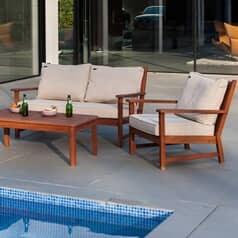 Although some of the hardwood furniture, such as the Roble benches, are designed to change appearance and evolve by being left out, covering your garden furniture can protect it from the weather, but also from dirt and grime that might come into contact with it. 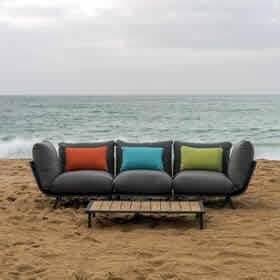 Buy cushions for your seats and benches, to enhance the comfort and the look. Acrylic cushions are luxurious and resistant to shrinking and fading. 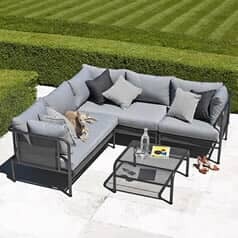 Polyester is a more cost effective solution but still offer resistance to shrinking and fading, and all cushions come with ties so that they can be securely fixed to the chairs and benches that they will be used on. 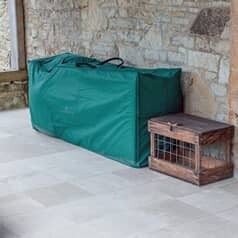 Although most of the furniture can be left out during winter, protected with covers if you want to offer further protection from the elements, it is recommended that cushions are stored in a dry environment during the wet and cold winter months. 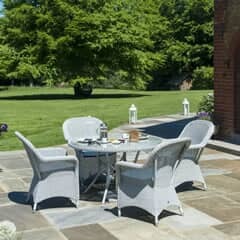 As well as benches, chairs, tables, and cushions, the Alexander Rose garden furniture range also includes parasols which offer a simple and convenient protection from the sun. 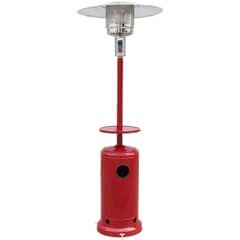 Parasol bases are used to ensure that they stay in place while being used, and furniture anchors can also be used to ensure that all of your patio furniture is less likely to move around in the wind, preventing damage and loss. 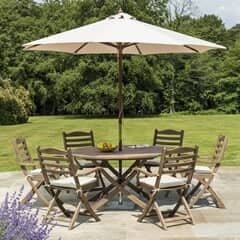 Garden Furniture World is one of the leading Alexander Rose furniture stockists. We provide free delivery on all orders over �100 and you can call one of our friendly and knowledgeable team to help choose the best items for your garden. 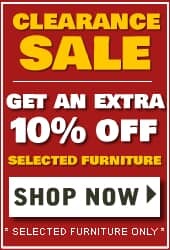 Alternatively, you can call into Dawson's Department Store or buy from our secure online store to access competitive prices, excellent customer service, and some of the best garden and patio furniture models around.